In the early 2000s, the beer scene in Fargo was pretty weak. 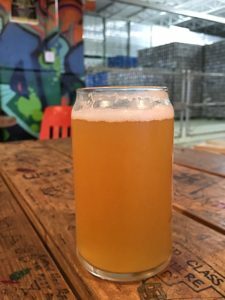 To satisfy my craving for something new and different, my wife and I always stopped at local craft breweries when we traveled. As we returned home, we often discussed how our beloved Fargo-Moorhead stacked up to our recent destination. Suggestions for improvements varied: more unique restaurants, food trucks, a vibrant art scene, bike-ability, and (most importantly) breweries. 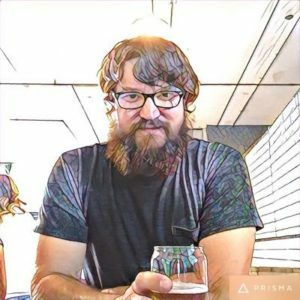 I wanted our city to have breweries like they had in Minnesota – lots of local variety, fun new ideas. I knew we Fargoans liked to drink…what was the hold up? A short while afterwards, my wish was granted. I heard rumblings about a new business – the Fargo Brewing Company. They began by doing limited tastings around town – perfecting their recipes, building word-of-mouth, and fundraising. I was so excited to finally have a craft brewery in town! In 2013, they opened their taproom. Housed in a somewhat shabby peach-colored building (once home to a plastic molding company) on the corner of 7th Ave N and University Drive, this small start-up has become one of the most successful and best-known breweries in North Dakota. Patrons love their delicious beers, but also enjoy the laid-back atmosphere of the tap room. Wood picnic tables and repurposed wire spools give it the feeling of hanging out in a friend’s garage…but a really cool friend who makes awesome beer and has talented graffiti artist to adorn his walls (you really have to check out the graffiti mural – complete with Super Mario). 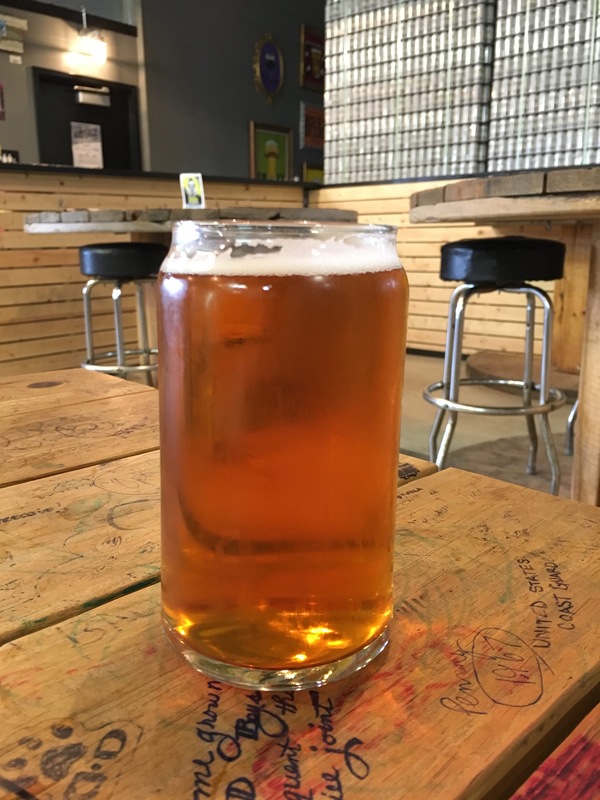 In addition to being in touch with what Fargoans want to drink, the guys at Fargo Brewing Co. also seem to understand the importance of developing connections with the community. They have partnered with craft stores, yoga studios, the Arts Partnership, the Fargo Library, dog rescues, and countless other small businesses and organizations. They’ve even generously allowed me to host the kick-off party to 30 Days of Biking in their taproom the past two years. 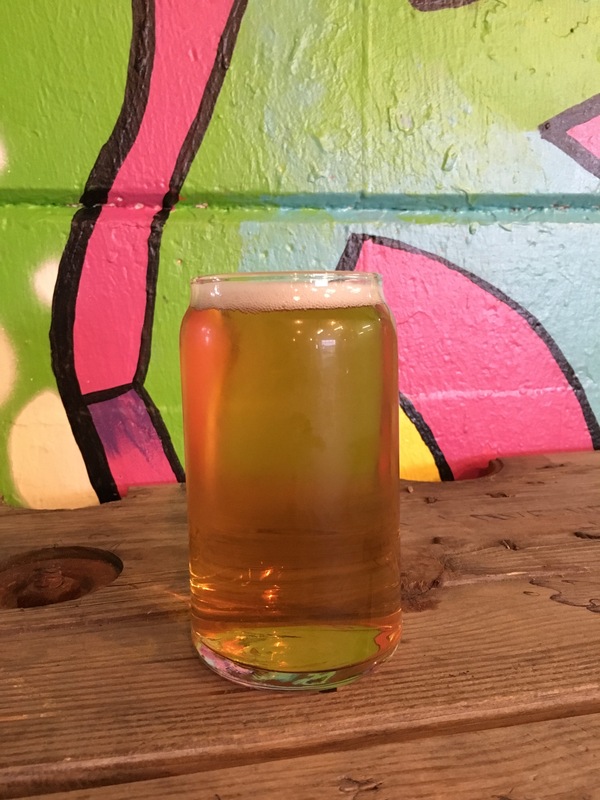 One of their classics, The Wood Chipper (yes, named for that wood chipper) is a hopped-up, copper-colored brew that boasts 5 different hop varieties: Horizon, Cascade, Chinook, Centennial and Simcoe. These are hops I’m familiar with from my homebrew days, but I was never able to achieve a beer that was hoppy, yet still remained balanced like the Wood Chipper. Plenty of flavor in this one. The Iron Horse, another staple, is really my go-to beer at Fargo Brewing Company. This is also the beer that I order for out-of-town guests when I bring them to the brewery. 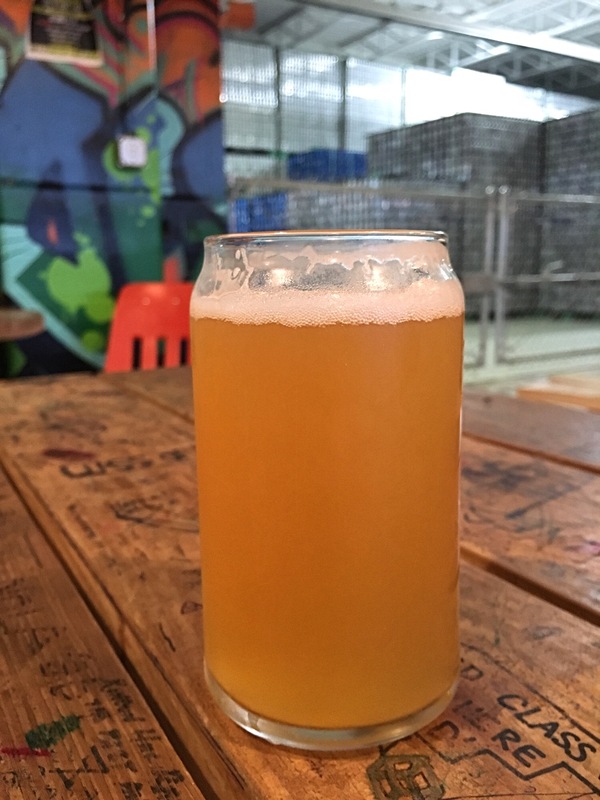 It’s a great pale ale with a citrusy taste and a floral hop flavor from the Falconer’s Flight, Falconers Flight 7C’s and Horizon hops. It’s also a beer that is sessionable (you can probably have more than one) since the ABV comes in at 5%. This is a Sometimes beer – occasionally on tap at the Fargo Brewing Company. Showing as a hazy yellow with a white head and some lingering lacing, this brew looks like summer in a pint glass. It is a lighter beer with just a hint of sweetness from apricots (not overly sweet like some fruit-infused beers can be). When you visit, make sure to ask how this one got its name. You can sample all of the beers that they have on tap – currently about ten different brews. Pints are $5 or save a buck at happy hour (M-F 4-6pm) with $4 pints. They also sell six packs, flats, kegs, and growlers (and will fill any growler as long as it’s clean). Clearly craft beer has caught on in Fargo. Last month the Fargo Brewing Company celebrated its 6th Anniversary with one of their famous celebrations featuring music, food, and lots of great beer. They also recently opened a new taproom in South Fargo, Fargo Brewing Ale House. After six years, FBC is the elder statesmen of breweries in Fargo-Moorhead. 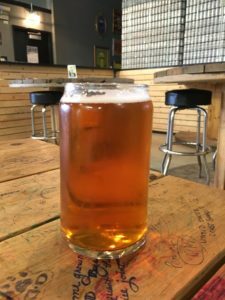 We now have six craft breweries in our city; there’s no shortage of great beer, but the Fargo Brewing Company continues to be my favorite. They consistently brew quality beer, aren’t afraid to innovate with new ideas, and most importantly – they have fun while doing something they love. I like bikes, beer, live shows and portmanteaus. Bicycle dude/high-fiver spreading the join the FM area since 2001.